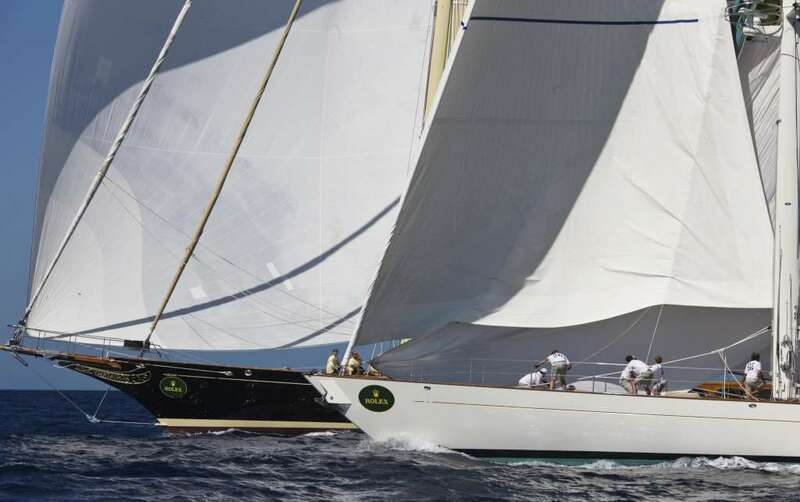 Maxi Yacht Rolex Cup – Yacht Club Costa Smeralda – Superyachts News, Luxury Yachts, Charter & Yachts for Sale. The penultimate day of the Maxi Yacht Rolex Cup 2011 was a mixed bag with light and shifty winds preventing the Mini Maxi and Wally classes from completing any windward-leeward races and the remaining divisions sailing a short coastal course. Niklas Zennstrom’s Ràn 2 (GBR), with Adrian Stead on tactics therefore remains in the lead in the Mini Maxi class as does Claus Peter Offen’s Y3K yacht (GER), with tactician Jochen Schuemann, in the Wally division. Brian Benjamin’s Aegir yacht (GBR) moves up to first place in the Maxi Racing/Cruising fleet and sailing yacht Esimit Europa 2 (SLO), owned by Igor Simcic, solidify their overall lead in the Maxi Racing division. In the Supermaxi division Nilaya (GBR) retains the lead she has held from day one. The event, now in its 22nd edition, is organized by the Yacht Club Costa Smeralda in collaboration with the International Maxi Association and this year hosts 45 maxi racing yachts. Image is the Maxi Yacht Rolex Cup 2011 – Credits Carlo Borlenghi and Rolex.